Call us to Get Help Today. Stay in the loop! Learn about special events and get health information every month. Grand Teton Chiropractic, P.C. offers our patient form(s) online so they can be completed in the convenience of your own home or office. Welcome to Grand Teton Chiropractic, P.C. For more information or to schedule an appointment with our Idaho Falls chiropractor, call 208-529-1919 today! Take action to regain (or maintain) your health and well-being today! At Grand Teton Chiropractic, we combine state-of-the-art technology and equipment with traditional chiropractic treatments to deliver holistic health care with a personal touch. After providing a comprehensive evaluation and consultation, we empower patients to make intelligent choices about their own healthcare. Many people do not realize the wide range of conditions that can be treated effectively through traditional chiropractic care. To better understand the physiology of how chiropractic works and how it can help you, watch the following short video. At your first visit to Grand Teton Chiropractic, P.C., Dr. James Gardner, DC will explain the science behind how chiropractic care works, and give you a full evaluation to see if chiropractic care is right for you. If there is a good fit, we can develop a plan of chiropractic care that is specific to your condition and health goals. If you are new to seeing a chiropractor and want to find out more, please email us or call 208-529-1919 to receive personalized answers to your questions from our friendly team. Or, if you are investigating what chiropractic is and have heard various myths about the profession and want the truth, click here to learn more. We are providers for most insurance companies and now accept Medicaid as well. We also welcome referrals, please feel free to share our health information with your friends and loved ones. We love to help your friends and family members to revolutionize their health--so don't be shy about sharing with others this natural and effective form of healthcare. If you would like to stay informed about modern chiropractic care or if you want to start receiving free articles about health and wellness news, please subscribe to our bi-weekly newsletter (at the top of this page), even if you are not a patient. If you are looking for specific exercises you can do to better your overall strength and health for specific target areas, we can help you with that too. "As a chiropractic physician, I relieve pain and suffering and improve overall health by restoring proper nervous, muscular, and skeletal function. By restoring proper joint placement, I help the body improve range of motion, relieve muscle tension, and increase neurological function for maximum health and optimal muscle strength. I further counsel patients on nutritional supplements, exercise, posture, and other lifestyle factors which improve overall health and wellness." Patient Testimonial: "I would rate my experience a 10! Dr. Gardner really knows what he is doing! I found relief for my pain immediately! 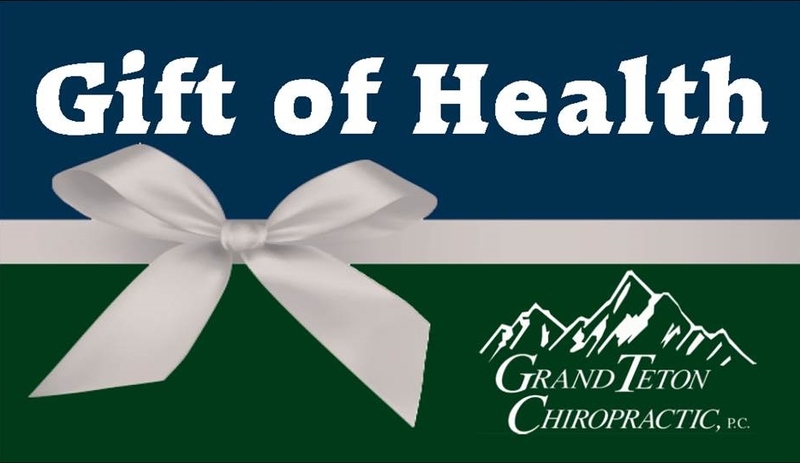 I would definitely tell my friends and family to go to Grand Teton Chiropractic!" - M.
Find out if chiropractic care is right for you! Just mention this "Gift of Health" website offer when you call to schedule your initial appointment, or select "Gift of Health" if you schedule an appointment online, and receive a free consultation and exam (no out of pocket patient expense--insurance charges still apply). For a full list of things we may be able to help you with, click on community content below. To learn more about services and treatment styles available, see the services tab above.